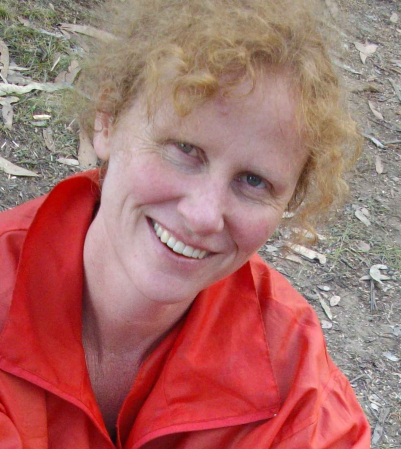 Julie Hunt is a well-known and respected author of children’s literature. In the following interview, she talks about her career as a writer. Julie with Bella, who features in Song for a Scarlet Runner. Julie, can you tell me how you first began creative writing? I had a job doing a storytelling session at Bondi Junction library on Saturday mornings and during that time I read a lot of picture books and decided to have a go at writing one myself. Tell me about the process of completing your first published piece. I think it was about the creative process. It makes me laugh now but at the time I think I took it seriously. How did you go about approaching a publisher when you started out? My first book was self-published. I got together with a friend who did the pictures and we printed it ourselves. My second book was accepted after sending many stories to many publishers. That was some time ago; now you need to check publishers’ websites to find out if and when they are accepting submissions. A good way of getting a start in publishing is through the Australian Society of Authors mentorship scheme or similar. But first you need to become a writer. You need to develop the habit of writing and find out how to create stories. When I began, I thought publishing was everything and consequently I was disappointed. I now realise I was putting the cart before the horse. My advice to new writers is this: first get your story. Forget about publishing, marketing, branding and building a profile. Just go and find your stories, your pictures, your language. The rest might happen later if you’re lucky. Tell me about the process of working on your graphic novel, KidGlovz. Was it different to working on your novel? Yes. Very different. My first novel, Song for a Scarlet Runner, has just been published by Allen and Unwin. 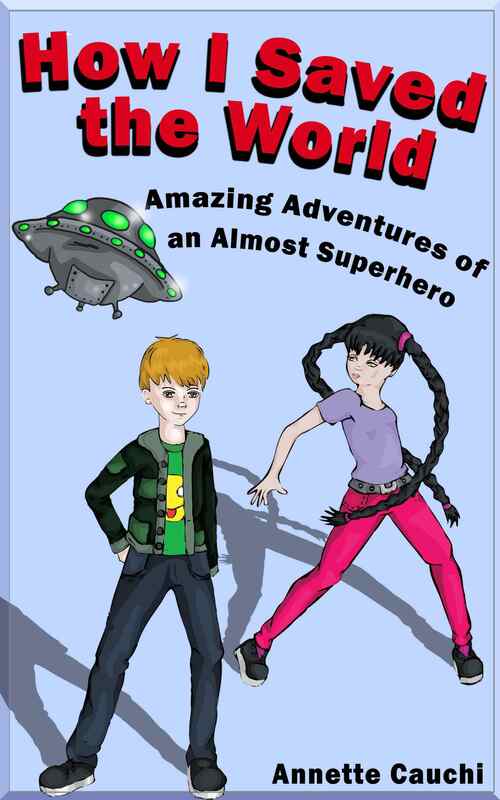 My graphic novel KidGlovz is in the process of being illustrated and will come out on 2014. I wrote KidGlovz as script, seeing the story like a film and describing what I saw in terms of picture panels and dialogue boxes. It was easy compared with the ‘word’ novel as all I had to do was sketch out the story before handing it to Dale Newman, the illustrator. I love her drawings. She did the cover for Song for a Scarlet Runner. 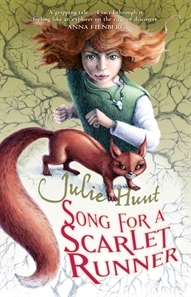 The cover for Julie’s book, Song for a Scarlet Runner. I am about to start a sequel to KidGlovz, a book called Shoestring, which will be a hybrid graphic novel, incorporating the best of both worlds I hope – prose and pictures. You’ve collaborated with others on many literary projects. What are the highs and lows of collaborations? All my collaborations have been enjoyable. At the moment my main collaborators are Erica and Sue at Allen and Unwin. We have a good time, an inspiring time. They are full of ideas and I am lucky to have the benefit of their experience and expertise. Have you ever done a book proposal? Was it helpful? No, but I learnt how to do it when I was studying the Professional Writing and Editing Course at RMIT. When I suggest a book to my publisher I don’t look at the market, or the competition and ‘sell’ my idea in the commercial sense. What I do is sell the book to myself by writing about the potential story in a way that makes me believe it could happen. I use grant applications in the same way – I write the application in order to write the book. A friend once told me that grants are judged as much on the quality of the application writing as on the support material so I put a lot of time into it, often treating the application as a piece of creative writing in itself rather than a bureaucratic form. I try and entertain myself as I go along and hope whoever reads it will be entertained as well. How do you go about negotiating your contracts with publishers? I cross out a few things and add a few things. I keep the film rights for the Hollywood blockbuster! The Australian Society of Authors have a contact assessment service that is useful. Did you attempt to build your profile as a writer prior to getting published? No. For me, writing involves listening for a quiet inner voice rather than creating a loud external one. But maybe some people find their writing selves through creating a profile. Tasmania has a small but active literary community. Would you say there are any advantages or disadvantages to being a writer in Tasmania? Tasmania isn’t too busy so it’s easy to get on with your work. The writing community is small and supportive and the Tasmanian Writers Centre is a terrific organisation. I don’t feel distance is a disadvantage as I like going interstate to visit my publisher or attend events like the annual Society for Children’s Book Writers and Illustrators conference. 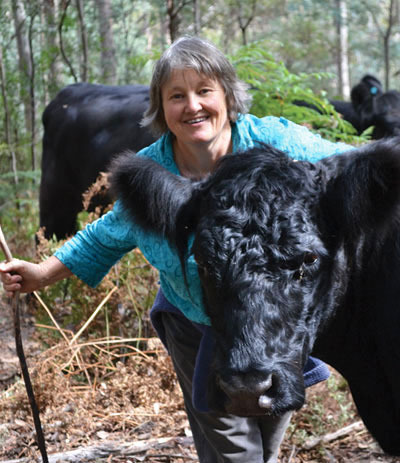 Have you done any marketing (such as book tours) on the mainland or do you focus on Tasmania? You’ve picked the wrong person to ask about marketing! I’m crowd shy – I rarely give talks (although after doing an adult education course in public speaking this is changing), I don’t often visit schools or libraries, and the thought of a book tour fills me with holy dread. I quite like the ‘story behind the stories’ section of your website. How did you decide what content to put on your website? Did you organise the book trailers? I’m glad you like this Cath. I enjoyed writing it and now I make notes on that sort of thing as I go along – the process, where the ideas came from etc. This was a tip Hazel Edwards gave in a workshop at TWC in Hobart – keep notes and write 1000 words about each book because you will need it later for publicity. I made the trailers myself using a program called Premier Elements. I start around five, take the phone off the hook and work until ten, writing in bed by hand. Then I get up, feed the chooks, put the phone on the hook, turn on the computer, type up what I’ve written and start my day job which is a different sort of publishing – producing course units for year 11 and 12 students in Tasmania. On a good day this is punctuated by time spent weeding in the hothouses or outside, making compost. It’s good to get some physical work in and I’m lucky to live on a farm. What do you find pleasurable or difficult about being a writer? The best times are hatching ideas and plots and discussing them with my publisher. When young readers tell me that they got to the end of one of my books and decided to read it again I am very pleased. The main difficulty is that I usually feel lost and uncertain about where the story is heading but I guess that goes with the territory. I have to say I’m not really into branding – I just try and be myself and write the best stories I can. Recently my editor suggested mentioning my interest in travel and far-flung landscapes on an about-the-author page, which made me feel a bit of a fraud as I’m no great adventurer, but since then I’ve discovered a burning need to get to Turkey to see if a story is waiting for me among the fairy chimneys and underground cities of Cappadocia. 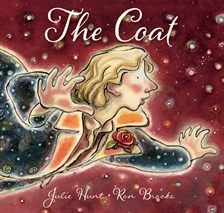 The cover for The Coat. 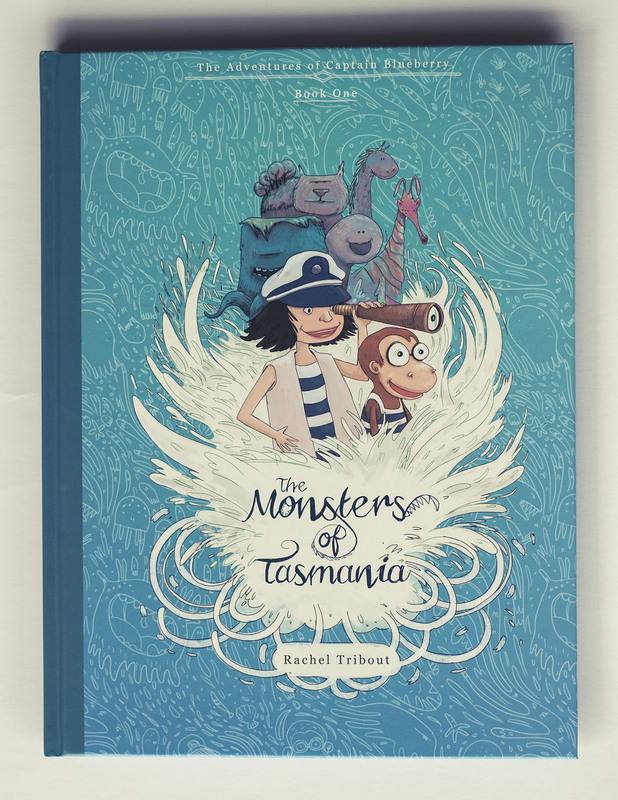 This book has been shortlisted for the 2013 CBCA Awards. If you asked me to describe my work I would call it ‘feet-on-the-ground fantasy’. Plenty of action, heart and humour. No wizards, warlocks or princesses but the characters are big and so are their concerns – truth, death and transformation. Get a job. Do some training and get a parallel life that will make the writing possible. But keep the writing at the centre! Julie Hunt, thank you for sharing your story! If you’d like to find out more about Julie and her books, click here to visit her website. If you have any questions for Julie, please use the comments form below. Today I have a guest blog from author, Marianne Musgrove. 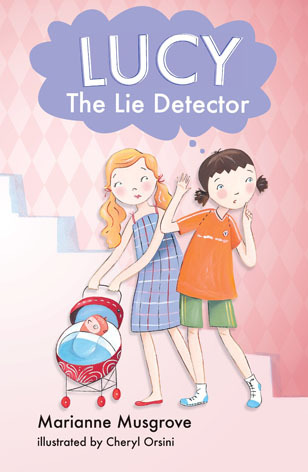 Marianne recently appeared on two day-time television shows promoting her new book for children, Lucy the Lie Detector. 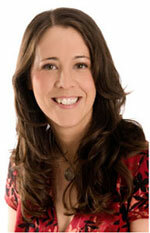 Here she shares her advice about appearing on television if you’re promoting a book. Following on from my now famous (at least in my family) appearance on Mornings with Kerri-Anne to promote my new book, Lucy the Lie Detector, I thought I’d share some lessons I’ve learned about making the most of your fifteen (or in my case, four) minutes of fame. Producers love an angle. When my publicist discovered I was a former social worker, she married this fact to the content of my book (truth and lies) and voila! I was an expert on children’s behaviour and lying. To find your angle, consider all aspects of your background (job, heritage, family situation, experience), not just the subject matter of your book. 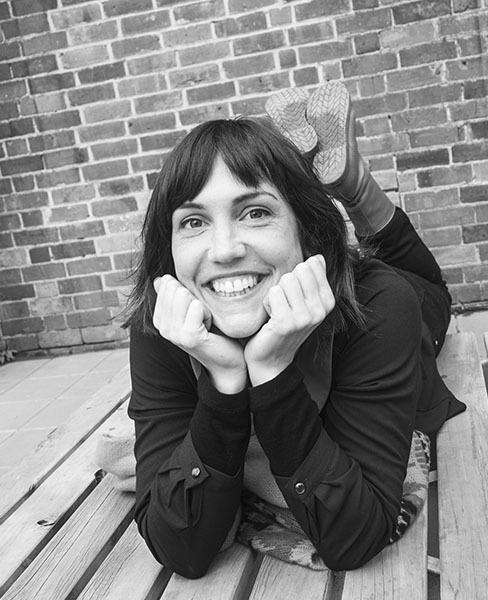 Children’s author and fellow “Mornings with Kerri-Anne” alumna, Fiona Trembath, advises: avoid jingly jewellery, wear something that reflects who you are and don’t wear a pattern that might strobe on screen. Before you appear on the show, you’ll be contacted by a producer to discuss possible interview questions. They may ask you for talking points which will appear on screen during your segment. Have those points ready (no more than five per section). Some shows only permit you to mention your product once so get in early and make it count. Don’t wait to be asked the right question. I made the mistake of waiting for a certain graphic to come up. I never saw it and I missed out on mentioning my book! When I was on Kerri-Anne, I wasn’t prepared for her opening question: what makes a child tell their very first lie? I did what we writers do best – I made something up. Be prepared to answer questions out of left field. Don’t panic. Just sound confident and no one will know the difference. Ask to take a peek in the studio before you go on. This will mean one less thing your brain has to process once you get on set. Ask how long the segment will be. When you sense your time drawing to a close, quickly mention anything you’ve left out. Take a few deep breaths before you go on (though not too many – you don’t want to pass out and have to be revived on nation television). Speak at a regular pace. It’s hard to smile when you’re nervous but it does make you more appealing. Steer clear of maniacal grins, however. You don’t want to scare away the viewers. Also remember: don’t look at the camera. I know that’s a bit like saying ‘don’t think of an elephant’ then all you can do it think of an elephant. 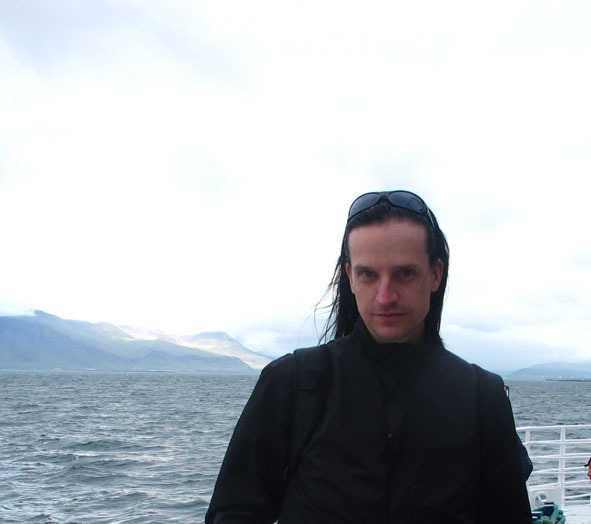 Nevertheless, don’t look at the camera! Bring a copy of your book on set with you. It’s a visual that’s a constant, free advertisement. I can guarantee you, you will make one or more mistakes while you’re on TV. I know I did. Forgive yourself, learn from your mistakes and move on. Click here to see Marianne’s TV appearance. And here for Marianne’s website. This article first appeared in the e-newsletter Pass It On editions 300 and 301.